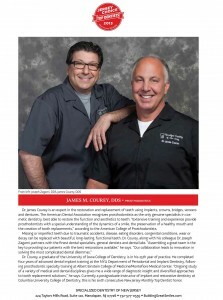 James Courey, NJ Top Dentist, Prosthodontist, 6 years! While there is no greater compliment than a happy patient, it is an honor to be recognized by your peers as one of the best in the field. 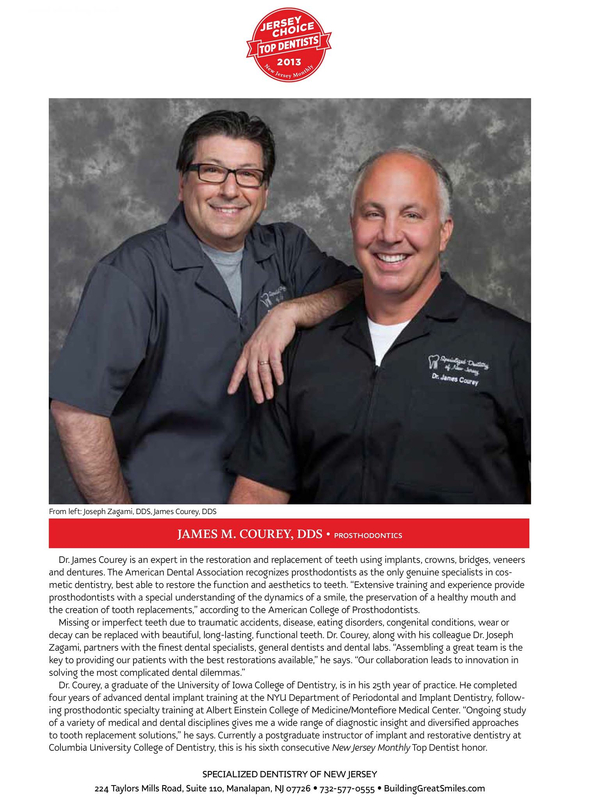 New Jersey Monthly Magazine asked 6,426 New Jersey dentists to tell them which of their fellow dentists they consider New Jersey's best practitioners.